In 1969, director Alexander Macken­drick retired from the film industry and became founding dean of the film school at the newly established California Institute of the Arts. Passionately interested in the pedagogy of cinema (“Film writing and directing cannot be taught, only learned, and each man or woman has to learn it through his or her own system of self-education”), he became one of the art form’s most legendary instructors. Aspirant filmmakers from around the world chose to study at CalArts because of Mackendrick’s presence, and even today, copies of his carefully composed classroom notes—which he called “my life’s work”—remain prized possessions among CalArts graduates, who speak of their mentor with veneration. 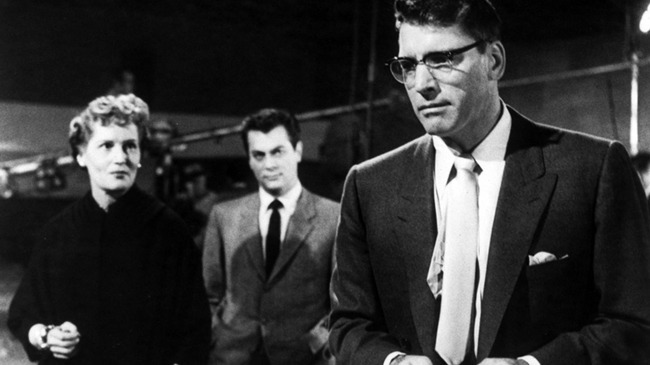 Though he was reluctant to use his own films in the classroom, one notable exception was Sweet Smell of Success, which served as the basis for one of his most penetrating handouts. In the extract that follows, Mackendrick describes how the original screenwriter on the project, Ernest Lehman, author of the short novel on which the film is based, fell ill and was replaced by Clifford Odets. Odets had been a leading Broadway playwright who, in the thirties, delivered to the progressive Group Theatre collective such works as Waiting for Lefty, Awake and Sing!, and Golden Boy (see Barton Fink, whose title character even looks a little like Odets). As a Hollywood screenwriter, he had worked on the script for Hitchcock’s Notorious and on early drafts of what became It’s a Wonderful Life. Handed Lehman’s script, Odets chose to rework it completely into one that, while structurally based on the original, is a much more densely packed affair, bursting at the seams with expressionistic dialogue. Yet for all the genuine sparkle of Odets’s memorable dialogue and the structural reinforcements he made to the story, let’s not lose sight of the fact that Sweet Smell of Success can also be a thoroughly visual experience. Years after the film’s release, Mackendrick would tell students that “cinema is not so much nonverbal as preverbal. Though it is able to reproduce realms of dialogue, film can also tell stories purely in movement, in action and reaction.” When we turn off the sound and let the pictures of Sweet Smell of Success do the talking, we see just how much information is gleaned through the camera, the lighting, and the blocking of the actors. As former Mackendrick student and writer-­director James Mangold explains, “While Sweet Smell is a film brimming with rapid-fire dialogue, it is almost completely decipherable as a silent film.” Assisted in no small part by cinematographer James Wong Howe’s crisp, glistening, high-contrast location photography, his low-angled, smoke-filled framing and technique of washing the walls “with oil to get the glitter,” Mackendrick understood how much of the storytelling’s heavy lifting could be done with blocking, costumes, lighting, props, and the camera. Watch Sidney in the opening sequence as he moves from the newsstand to his half-eaten hot dog, fretting over what he fails to find in J. J.’s column (by which point we have already twice seen Hunsecker’s insincere face staring out at us—once from the side of a newspaper delivery van, and then in a photo at the head of his column), then tossing the paper into a garbage can before heading to his office/apartment, the front door of which displays a scrappy handwritten note. 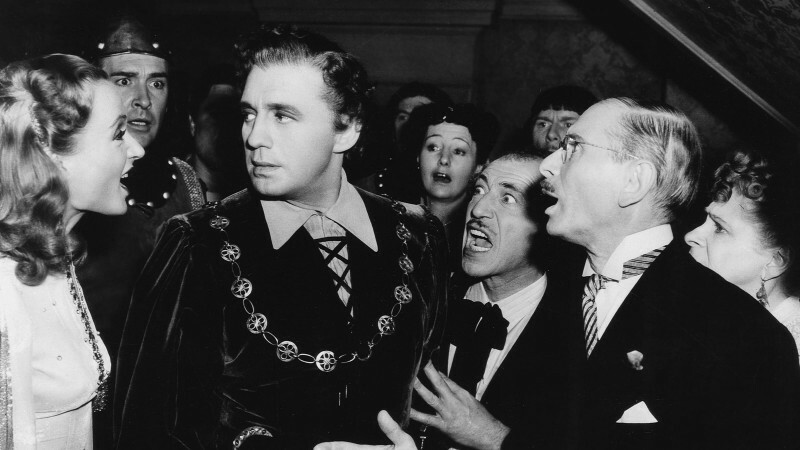 Observe the staging of the scene in the TV studio with the four key characters: all are at play in a single shot, with Sidney moving among the other three, subtly pointing us toward the dramatic tension at every moment. Recall Tony Curtis’s signature gesture in the film: his demonstrative, overwrought nail biting. And look at the way Lancaster and Curtis move together along the claustrophobic nocturnal Manhattan streets. J. J. displays a powerful physical presence (Lancaster, a former circus performer and acrobat, was over six feet tall), stiff and upright, dominating the desperate gadfly Sidney, who flutters around him, almost begging for scraps. Even with the soundtrack turned down, we would know precisely who these men are to each other. Mackendrick exhorted ­students to differentiate between “pictorial” and “visual” images. The former might be as banal as pretty pictures, while visual images use those pictures to tell the story. Freeze-frame Sweet Smell of Success and the image not only looks exquisite but is full of narrative information. “Match me, Sidney,” J. J. tells his fawning protégé. Memorable indeed. But watch Curtis’s graceful move later as he whips out his lighter and leans in with an open flame. It’s worth a thousand words. Clifford Odets was a playwright of some importance in the history of American drama, but as a screenwriter he was extremely theatrical. I have to admit, I found his dialogue mannered and very artificial, not at all realistic. At the same time, I recognized that not only is the whole plot of Sweet Smell of Success somewhat exaggerated, it also deals with an environment and characters who seem to enjoy quite grotesquely colorful forms of speech. (On another level, Damon Runyon’s stories of the same environment have a similarly preposterous style.) Clifford sensed, I think, that I was concerned about the problem of style and explained to me: “My dialogue may seem somewhat overwritten, too wordy, too contrived. Don’t let it worry you. You’ll find that it works if you don’t bother too much about the lines themselves. Play the situations, not the words. And play them fast.” I found this to be a marvelous piece of advice. Indeed, it reinforced my understanding of dialogue in film: the spoken word is often at its most effective when the actors concentrate not on the words and their literal meaning but on the actions that underlie them, the real intentions and motivations of the characters. A line that reads quite implausibly on the printed page can be quite convincing and effective when spoken in a throwaway or incidental fashion by the actor. Ernie Lehman and I had become friends during a period when we were both under contract to Hecht-Hill-Lancaster. I had been preparing a ­project that was canceled because of casting problems, while Ernie had been assigned as not only the writer of Sweet Smell of Success but also as director. He began, however, to have ­second thoughts about choosing it as his first directing assignment and decided he would be safer if he remained as writer-producer. [Lehman’s version of the story, recounted on page 16, in his 1998 note, is different.] He asked me if I would like to direct it. I liked the material for several reasons. One was that I had always hankered to make a melodrama, a film noir, as it has been called, and felt this was a chance to get out of a reputation I had for small, cute British comedies. Another was that, though it was in England, I’d had some experience of the world of tabloid journalism and was both repelled and fascinated by some of its grubbier aspects. A third was that I liked the idea of trying to capture on-screen the atmosphere of Manhattan. 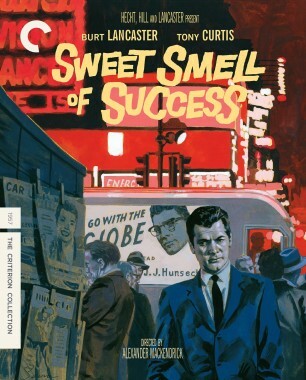 (It has been done many times since, of course, but Sweet Smell of Success was actually one of the first attempts to shoot night scenes on location in the city.) I also appreciated the themes of the story and felt I could work well with Ernie Lehman, though did explain to him and the producers that there were certain things about the first draft that worried me a good deal, not least that it wasn’t very cinematic. Just about every scene consisted of an exchange of dialogue between two people sitting at a table in a restaurant, at a bar, or in a nightclub. The screenplay was nothing but talk, with little consideration given to physical surroundings and visual atmosphere. My earliest reaction was that, though such an approach was necessary for much of the story, we could at least make an attempt to move it out into the streets. I felt that one of the ­characteristic aspects of New York, particularly the square mile that constitutes the area between Forty-second Street and Fifty-seventh Street (the theater and nightclub district), is the neurotic energy of the crowded sidewalks. This, I argued, was essential to these characters, people driven by the uglier aspects of ambition and greed. Without it, they would seem to be even more unbelievable than they already were. I was enormously lucky to discover that the producers were instantly receptive to this idea, and even before we set down to work on the screenplay, the producers allowed me to take the camera­man (the great Jimmy Wong Howe) and the production designer (Eddie Carrere) on a reconnaissance trip to New York to explore the locations. It was on this visit to the city that we developed the formula of starting many of the scenes in exteriors, beginning with short passages of dialogue on the claustrophobic Manhattan streets outside the bars, apartment buildings, and offices, before following the characters into the interiors. A complex matter this was, since it meant very careful matching between material shot on night locations in New York and studio-built sets on the soundstages of Goldwyn Studios in Hollywood. I am not at all sure that this effect helped the film to be less theatrical, but do feel it contributed to the inward aggression that helped to make the scenes work. Though the screenplay is immensely talky and the­atrical, I think the camera helped ­disguise this. In retrospect, I realize I may have been falling into a trap that is not uncommon in the profession: when a director is uneasy about some aspects of the script but does not know how to resolve them, he will often retreat into concentrating on more technical challenges that allow him to escape from things that are more important. The truth, perhaps, was that I was uncomfortable about characters and situations that I did not really believe in, and hoped to conceal these fundamental flaws by the fancy footwork of visual effects. A common fallacy is that you can make a piece of writing conceived in theatrical terms more cinematic by “opening it out.” This usually means keeping the same dialogue but playing the scene against backgrounds of more pictorial interest. Though this may indeed help to provide more atmosphere, it does not necessarily make the scenes any more interesting. 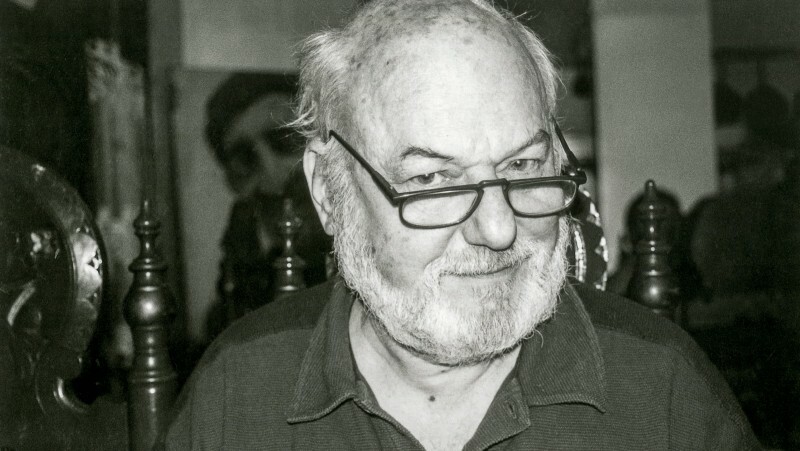 At this point came a major disaster: Ernie Lehman fell ill. With only a month or so before shooting was due to start, a date that could not be postponed because of contracts to the ­principal actors, we were faced with the task of finding a new screenwriter to solve a number of the problems we had identified in the script. By enormous good fortune, Hecht-Hill-Lancaster had just put Clifford Odets under contract to work on another project, and we were able to persuade him to do what, at that juncture, seemed a relatively simple job of story doctoring: polishing the dialogue and making some minor adjustments to the scene structure. We could not have been more wrong. It is, of course, well-known that few writers are able to resist the temptation of changing the work of another screenwriter, but none of us realized how much work Clifford found that he had to do. Very little of Ernie’s script was left in the end, though the basic themes remain in the film we know today, and with the exception of the final scenes, the plot was substantially as originally conceived. What Clifford did, in effect, was to dismantle the structure of every single sequence in order to rebuild situations and relationships into scenes that were more complex and had much greater tension and dramatic energy. Disastrous as this process was from the point of view of the production, the truth is that, for me personally, it was an experience that taught me a staggering amount. I can make no claims for the completed film, but what I can say is that without this work done by Odets, the film would have had none of the vitality you see up on the screen. It is not easy to explain Clifford’s process. It took place mostly in story conferences, daily meetings between three people: Odets, producer Jim Hill, and myself. Much of the discussion was lively, aggressive argument in which it seemed that we ripped every scene to shreds, to the point where I was growing increasingly nervous that nothing would be left. But what I slowly began to recognize was that I was being given the privilege of watching the processes of a dramatic intelligence working out the intricacies of character interaction. There was an interesting pattern to Clifford’s work on the successive drafts of a scene. During a story conference, he would improvise in the way an actor does, sometimes using a tape recorder, more often just talking and making notes. Then he would go off on his own to sketch out a scene that he would come back and read (perform, in fact) for our benefit. His acting, to my mind, was atrocious. Moreover, the scene would usually be horrendously overwritten and much too long. Then he would set about cutting it down quite ruthlessly. Clifford was, in fact, much more drastic in the editing of his own first drafts than any other writer I have worked with. In effect, during this process he would reduce the scene to a bare bones of the essential moves of the dramatic action. All that would be left were the key lines that triggered a shift in the story, a peripety of some kind. The scene was still in Clifford’s handwriting. Nothing had been typed. At this stage, it was my impulse to beg him to have it typed up so we could examine it. But he always managed to frustrate me in this and tried to keep the material as flexible as possible as he began to find new problems with it. Often this was because as he improvised the situation by playing it from the point of view of one of the characters, he uncovered previously unnoticed problems related to interrelated characters. Retaining only the essentials of the scene, he would then switch points of view as he improvised the complementary reactions of another figure. Once more the scene would expand, and once more Clifford would drastically cut it down again, keeping—at each successive stage—only the essentials from the previous draft, creating a piece of writing with more and more density and sinew. Naturally, this was a time-­consuming process. The real reason why many scripts are too long is wittily put in the apology of a correspondent who explained at the end of an extremely discursive letter: “I’m sorry this is such a long letter. I didn’t have time to write a short one.” Dramatic economy, which includes the ability of the writer to cut what at one point he might have considered to be his best work ever, is one of the most important skills a writer can have, learned only through much experience, combined with a ruthless attitude and an utter lack of sentimentality. It takes effort, lots of effort. It means rewriting and rewriting and rewriting—a constant ­process of distillation. Simply put, I find that many student films are too long simply because not enough effort has been put into the hard work of making them short. Odets’s process was his extraordinary method of building the dramatic mechanisms of a scene. It often required him to produce a number of drafts of dialogue that were progressively dismantled and then cannibalized into subsequent versions. In early drafts, the dialogue was heavily weighted in favor of one of the characters, who would be permitted lengthy and even cumbersome exposition, quite simple and one-sided explanations of attitude. These were often very near to being overt expressions of internal thought. The next stage might be Clifford’s examination of the reactions to such monologues. Much of what he had written would then have to be revised because “He wouldn’t be able to say that because She wouldn’t let him get away with it—She’d interrupt him by pointing out that . . .” While working on these easy drafts, Odets was well aware that he was including far too much material, that it would need to be compressed and cut down. But that was the point. Odets, describing his methods of fashioning a tightly knit and dense script, offered this advice: see that each of the characters arriving in a confrontation scene comes with ammunition (as he used to remark, a character has to have “a back to his head and money in his pocket”). The climax of many effective plays or screenplays features a scene in which two characters, often the protagonist of the story and an antagonist, confront each other. In Hollywood jargon, this is sometimes referred to as the shoot-out, even when the weapons are purely verbal. Intelligent characters (and scenes between characters who have little intelligence are apt to be dull) usually arrive with a number of moves that have been mentally rehearsed in advance. They have thought out not only what they mean to say but also how it will probably be received. An argument is, in this sense, like a chess or card game. The instigator, A, is likely to have a fairly clear scheme of opening moves. He will have several gambits in mind and is prepared for the countermoves these may provoke. Similarly, his opponent, B, has foreseen A’s intentions and has prepared either defensive tactics or a counterattack. Thus a confrontation scene between A and B will often begin with a number of dialogue exchanges that are an exploration of prepared positions, probing for strengths and weaknesses, while also establishing psychological bases. Tension in a scene of this kind clearly arises out of conflict, the clash of wills. The first task of the writer is therefore to be as clear as possible when it comes to the desires of each of the confronting characters. What exactly does A want? What obstacles does he expect B to raise? How does A expect to overcome these obstacles? Through what persuasion? What promise? What threat? In this respect, once the psychological vying between characters has resulted in, perhaps, one character winning out over the other (albeit temporarily), then come the important expository surprises as certain pieces of information, perhaps unknown to one character, become, in the hands of another, an ace, a trump card. Such dynamics can produce a shift of the dramatic equilibrium, a peripety of sorts. In an intricately plotted scene, there can be more than one such trumping move. Thus it is another of the tasks of the writer to think out just these points where ignorance of some key information leaves one of the characters vulnerable, a move in which the tables can be turned by the other. Plot moves, however, are only one of the elements in an effective confrontation scene. Indeed, a scene that rests solely on a clash over plot points is likely to be thin stuff. One sees too much of this kind of writing in television stories where characters act aggressively but have no emotional depth or variety of feelings, no potential for shifts of mood, no capacity for character growth. Thus a character who holds our interest will, during such scenes, often discover something unexpected, some contradiction within his or her own personality, an unforeseen emotional impulse. The effect of Odets’s ideas about density created a depth and conviction to the characters of Sweet Smell of Success, greatly enhancing many scenes. As a process, it seemed to me rather like the weaving of a fabric that because of the tensions of multiple interlocking strands is supremely strong. Clifford would frequently use secondary characters in this way, establishing them as the basis for triangulation, the three-way interplay of characters. I had, as I say, noted that the original screenplay seemed to have a great many scenes that were simple dialogues, interaction between two people. Clifford’s instinct seemed always to devise patterns of three, four, and five interacting characters. One of his private pleasures was listening to chamber music, especially small string ensembles and ­quintets. Clifford admired compositions in which the voices of five instruments were thematically interwoven, yet each with a clearly identifiable melodic line contributing to the harmonic ­pattern. As such, he wanted to make certain scenes in his screenplay follow a similar pattern, where there would be a quintet of voices. There are several instances in the script of Sweet Smell of Success where I think Odets was particularly successful in doing this. In the first story conference between Odets, myself, and the producer, Jim Hill, I presented some of the ideas I had already been working on with Ernest Lehman. I had the idea of beginning the film with a sequence I felt would set the general tone of the film: the frantic activity that surrounds the moment when the first edition of a big city newspaper hits the streets (it was finally used as background for the titles). I explained how I could use posters on the side of the delivery trucks and the masthead of the column itself to set in motion the sequence of scenes that would build slowly to the introduction of the figure of the columnist. I suggested this would be a better start than the [proposed] ambiguous scene of the suicide that introduced voice-over narration and flashback. (Privately, I have a distaste for these two things, both of which are often a sign of the failure to create scenes in which the exposition is presented in terms of present dramatic action.) I had no need to argue the point, for Odets had already been feeling much the same way. Encouraged, I also made the suggestion that we could establish the profession of Sidney (Tony Curtis’s character) visually if we could play a scene not in his home, rather in an office where the set design and incidental activity could show just how a press agent lives. Perhaps, I said, Sidney could actually have a bedroom attached to his office, something that would indicate his association with the newspaper column and the degree to which he was dependent on his job. Clifford promised to work on these ideas. Then he began to focus on the scene he felt needed the most work: the introduction, in the 21 Club, of the figure central to the whole subject, J. J. Hunsecker. Lehman’s original version contained three characters sitting at the newspaper columnist’s table, but very little use was made of them. They were merely extras to the scene, while in Odets’s version, each of the five ­characters is continuously in play throughout. For purposes of exposition, Odets had considerably expanded their parts, making them foil figures and effectively providing a compact subplot for them. Like Odets, I felt the scene was not really as powerful as it ought to be, but having no positive suggestions, I had made no complaint. Odets proceeded to give us a demonstration of the way a practiced dramaturge, a man with long experience of such difficulties, explores for ideas to solve them. During all of this, I made no comment, as I saw Odets’s point clearly. But what had begun to worry me was that, if he was correct (and I felt he was), then there would need to be a lot more expository talk, a lot more of the kind of verbiage I felt was already bogging down the momentum of the story. More exposition, I felt, was bound to weaken the scenes rather than strengthen them. What Clifford had been scribbling down as he talked were Jim Hill’s answers that were later worked into the dialogue of the script. 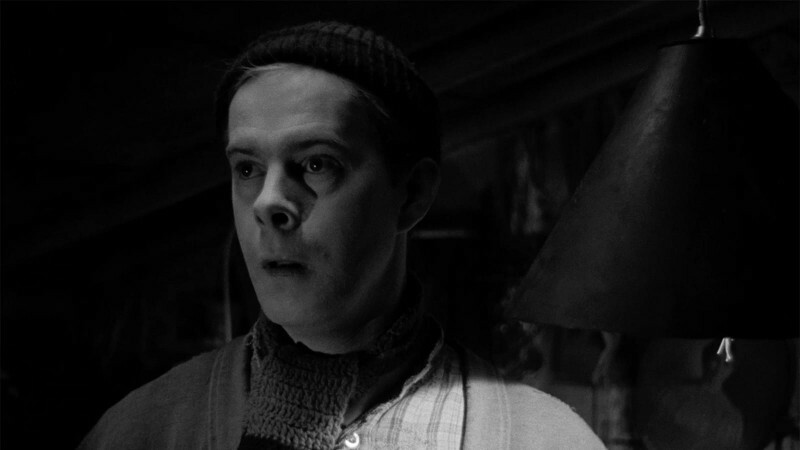 Clifford was actually using Jim as a foil, or rather was playing the role of foil himself so that Jim was provoked into improvising the answers to the questions that had not been properly addressed in the first draft script. As for myself, I was indeed correct in my fear that the 21 Club scene would have to be longer and more elaborate. But Clifford’s skill meant that, as it was transformed from primarily a two-hander into a five-cornered exchange of considerable complexity, the scene became brilliantly tense. Though I personally was often uneasy about Odets’s dialogue, I had nothing but admiration for his skill in scene construction. His adeptness in this kind of dramatic carpentry was quite extraordinary and is something we can all learn from. As I examined Clifford’s version of the scene, I realized that its strength was in the ensemble structure he had constructed. It is hardly an exaggeration to say that at any given moment each of the five characters present is involved in some way with every one of the other four. There are, in a sense, twenty-five separate interactions. This, of course, had an immediate effect on the way in which camera coverage was planned, and I had to think very carefully before it was time to rehearse and before it became my task to design the staging. Paul Cronin edited Alexander Mackendrick’s book On Film-Making: An Introduction to the Craft of the Director and the forthcoming Words on Pictures: The Interviews and Writings of Alexander Mackendrick. He leads regular workshops on Mackendrick’s teachings and maintains the website alexandermackendrick.com. Excerpt from On Film-Making: An Introduction to the Craft of the Director, by Alexander Mackendrick, edited by Paul Cronin, courtesy of Faber and Faber.